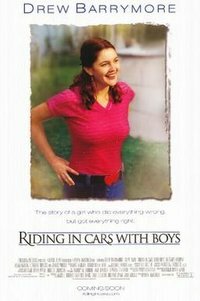 Riding in Cars with Boys is a 2001 American biographical film based on the autobiography of the same name by Beverly Donofrio about a woman who overcame difficulties, including being a teen mother, and who later earned a master's degree. The movie's narrative spans the years 1961 to 1986. It stars Drew Barrymore, Steve Zahn, Brittany Murphy, and James Woods. It was directed by Penny Marshall. Although the film is co-produced by Beverly Donofrio, many of its details differ from the book. This webpage uses material from the Wikipedia article "Riding_in_Cars_with_Boys" and is licensed under the GNU Free Documentation License. Reality TV World is not responsible for any errors or omissions the Wikipedia article may contain.